According to TDWI’s 2013 survey, most organizations are today merely capturing and storing streaming data – from sensors, machines, geospatial devices, and Web servers – for offline study, whereas they need to mature by using real-time practices and technologies. This will help them analyze streaming data as it arrives, then take immediate action for the highest business value. 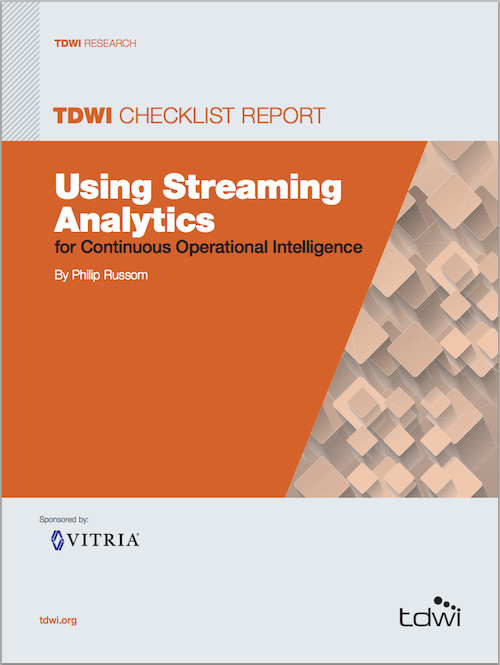 In this checklist report, TDWI Research Director Philip Russom examines user best practices and vendor tool functions that are essential for analyzing streaming data, with a focus on those that enable new applications in continuous operational intelligence.